"What can any principals do to change the safety culture in their school that takes 15 hours a year?" Irma Nurre, Principal of Wertheimer Middle School and Sonya Sanzo, Principal of Wessendroff Middle School were featured speakers at the Texas Elementary Principals and Supervisors Association Serving Texas School Leaders (TEPSA) Conference June 15-17, 2016 in Austin, Texas. Their presentations for elementary and middle school school principals featured school safety; the Safe to Learn Pilot Project at Lamar Consolidated Independent School District (LCISD); and the Safe to Learn Leadership and Safety Series. Presentation: "School Safety- Are You Ready?" Safety has always been Principal Irma Nurre’s number one priority with an emphasis on creating a sense of belonging. She also believes without safety, learning is more difficult to achieve, "We have to educate students about choices and how these choices will impact their lives and their future." Principal Nurre was also one of the original school administrators from LCISD to participate in the Safe to Learn Pilot Project at LCISD that began in 2013. Sonya Santos was a co-presenter and is the 2016 Co-Coordinator for the Safe to Learn Project Training Team for 2016-2017. 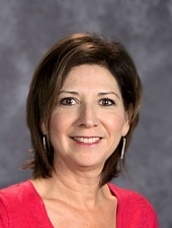 ​Because of Principal Irma Nurre's commitment to leadership and school safety, she has served as the Team Leader for Safe to Learn Community Pilot Project at Lamar CISD since Fall 2013 . She was also one of the original school administrators to participate in the Safe to Learn Pilot Project at LCISD that began in 2013.